Do you believe in the potential of education? Are you motivated by challenging opportunities to advance your skills? Are you inspired by a peaceful life in a northern community, close to nature? We offer excellent employment opportunities in teaching and other important fields and we are looking for people who want to advance the Cree Nation. We believe that education is a key driver of success. A foundation in education will enhance the lives of our children, our communities, and our nation as a whole. The Cree School Board provides pre-primary through secondary and adult education services in Cree, French and English in nine communities. Make a personal commitment to an experience that will change your life. Learn more about what it's like walk with us - check out our videos! Do not hesitate to consult the Our Organization, Youth, Adult, Post-Secondary and Services sections for more information on the Cree School Board. 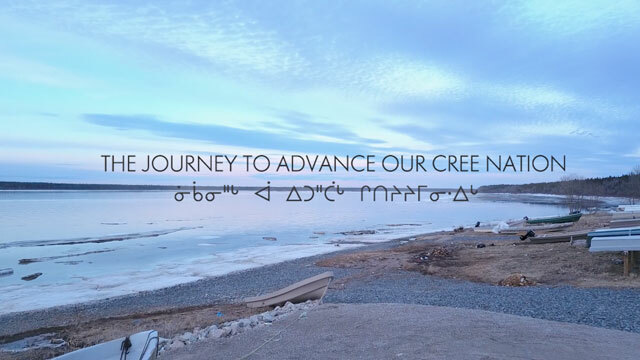 Click the image below to view the video and learn about teaching for the Cree School Board.